Castle Group Ltd has just been appointed as a UK official distributor for Kimo measuring and monitoring products including the all new DBM610 Balometer for temperature, airflow/velocity and humidity – all in one piece of equipment. 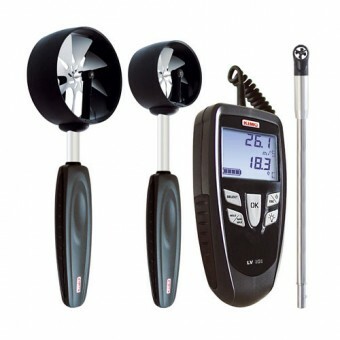 The range of equipment on offer includes air-flow and velocity measurement, light and illuminance meters, Air quality, Humidity, Temperature, Sound, Pressure and Tachometry and everything is available to purchase on-line at castleshop.co.uk. Castle offer a range of products through its shop including noise and vibration meters, health surveillance equipment, inspection products and even stop-watches! This follows a trend throughout industry where customers are keen to work with fewer suppliers who can assist with more of their needs. The company also provides training courses, an equipment hire service, calibration and consultancy.